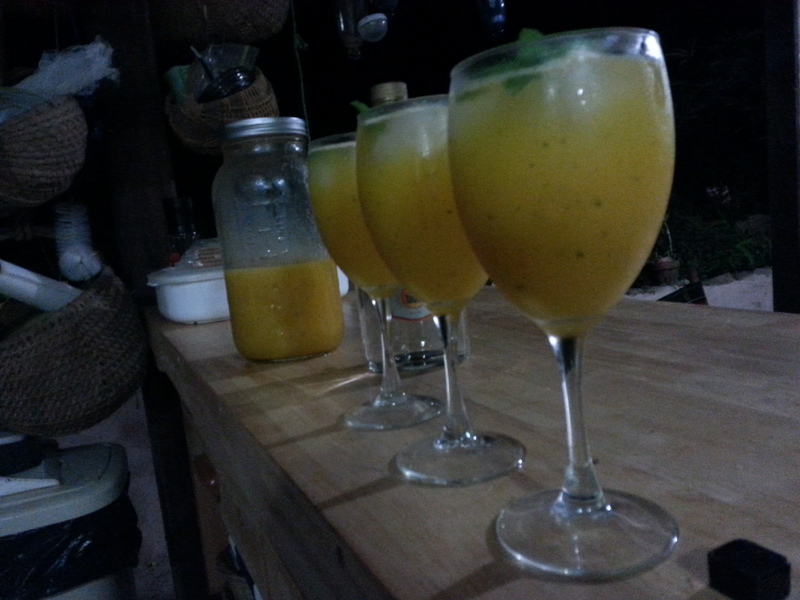 So, who’s into cocktails? Yes? 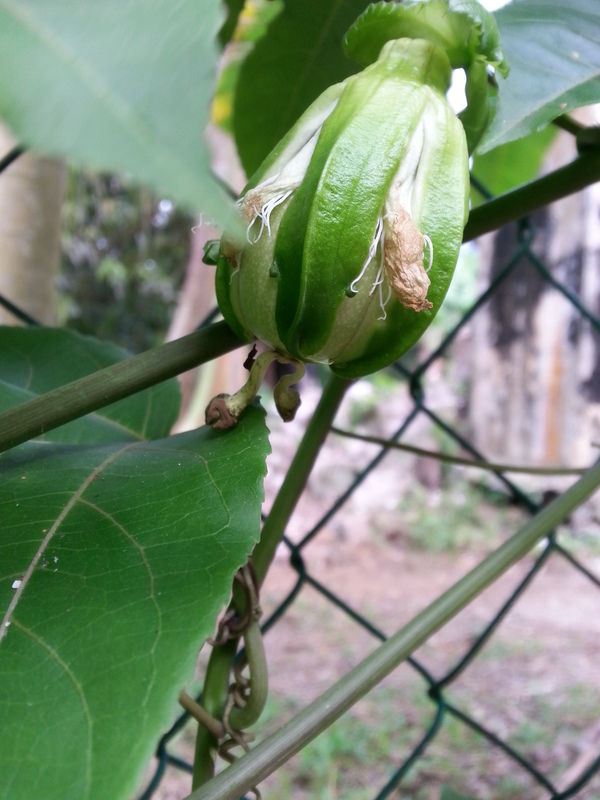 Hopefully soon there will be passion fruit too! This one started forming after flowering a week or two ago. 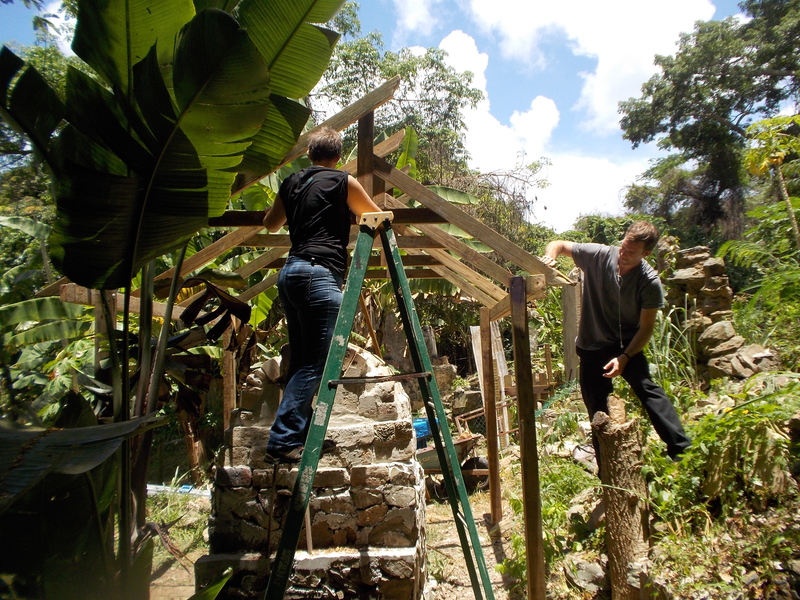 Now here are some progress photos, in case you aren’t sick yet of seeing all the construction! 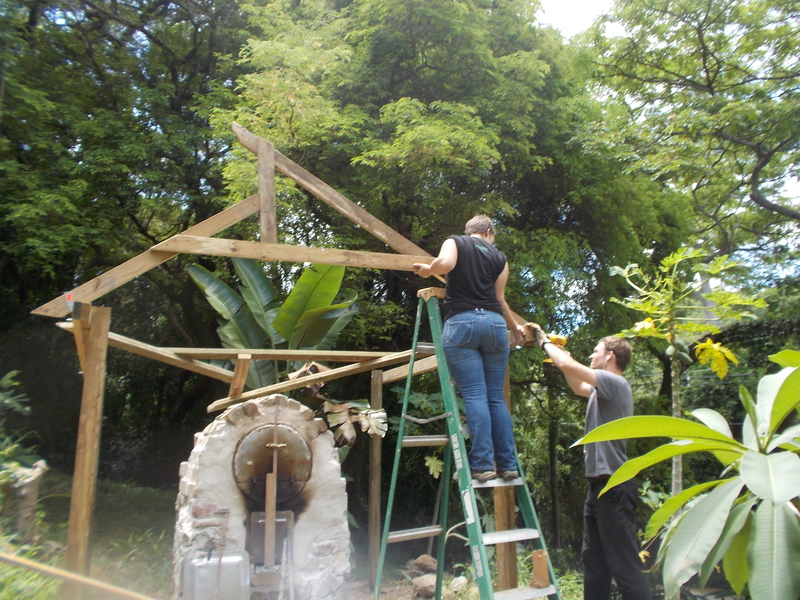 This week’s project is an 8’x8′ roof over the bake oven, directed by Mandy. 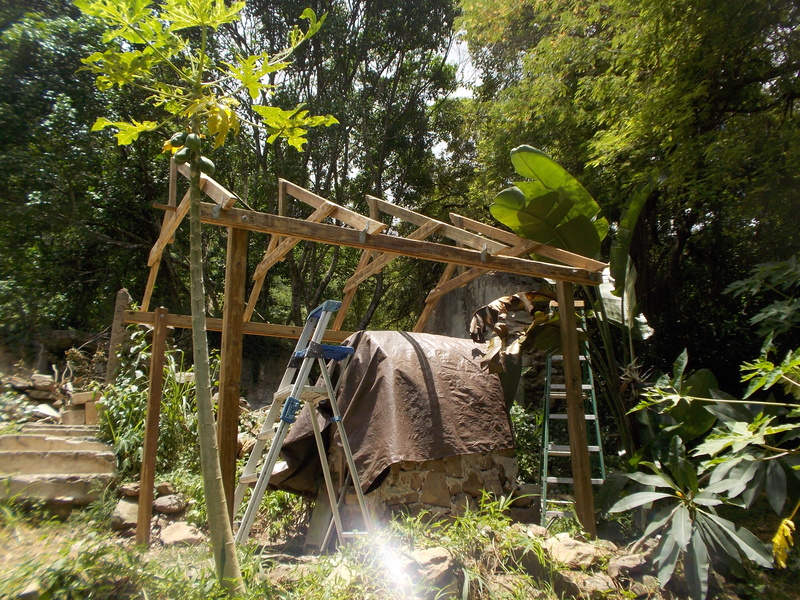 Our temporary tarp-over-hoops shelter was indeed temporary and left much room for improvement, so the new set-up is a tin roof set on four posts to shelter the oven from the elements and to provide a somewhat dry and shaded work area for when the oven is in use. It had to be fairly heat proof, due to the extreme heat emitting from the oven’s chimney vent, as well as being strong enough to (hopefully) withstand storm winds. So here goes. 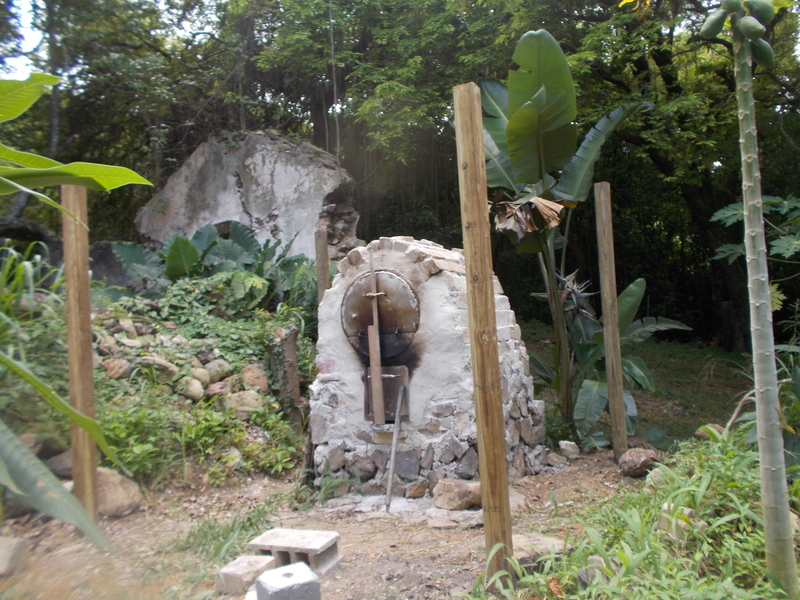 Four posts set into the ground around the oven. “Damaged” lumber is 70% off at Home Depot! 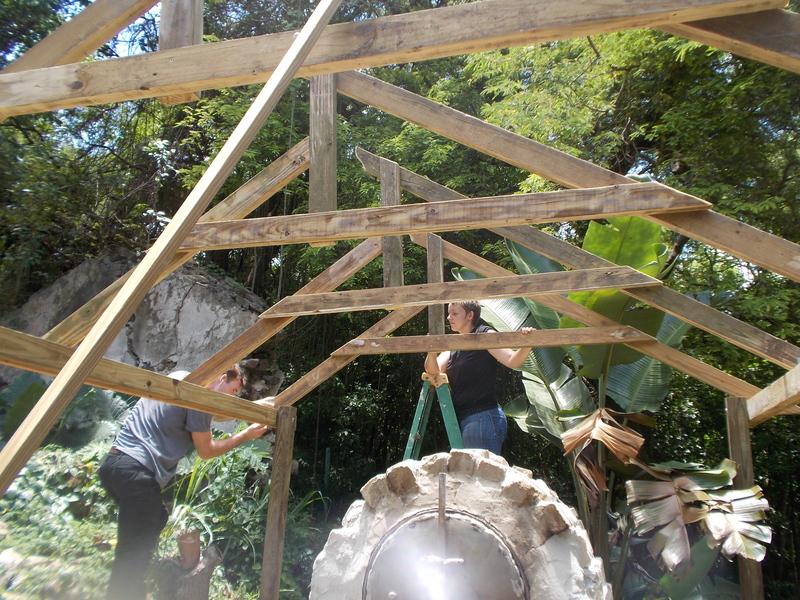 Mandy built the rafters flat on the ground, after drawing a pattern on the concrete. 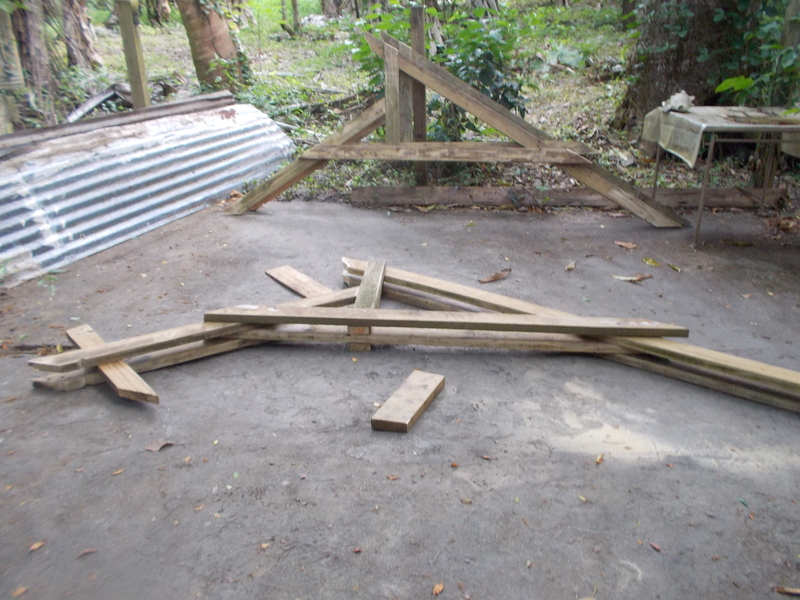 The 2x4s were all salvaged from a timber rack on the property. 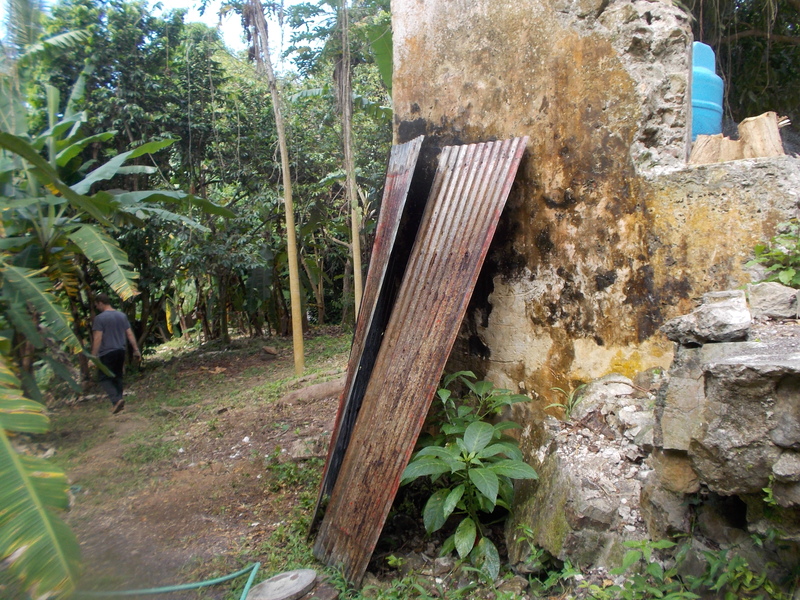 Salvaged tin for the roof. Attaching the wall plates to the upright posts; this is what the rafters sit on. 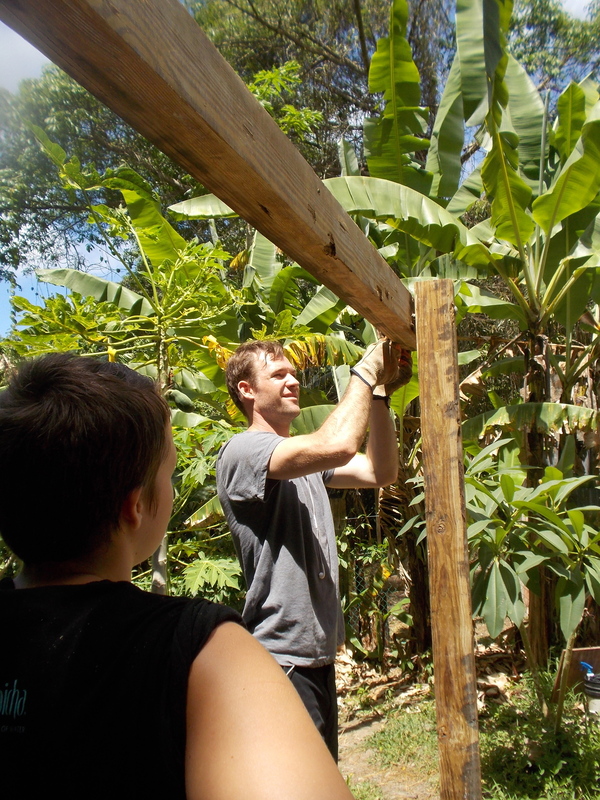 Putting up the first rafter. All ready for the purlins and tin bright and early tomorrow! Which brings me to, where are all your bread orders for this week? Even if you aren’t ordering anything, send me some mango recipe suggestions through the comments (public) or via email on the Contact page (private). Cheers! I have a few mango bread recipes from my days in Hawaii… if you would like them i’ll ask Stacy to drop by or email them to you. Thanks, Bonnie, that would be awesome! Thanks! Hope you’re having a great trip!